The three day course is open to first time filmmakers as well as experienced directors. It is designed to help you develop an idea from first thoughts through to production. The workshop will will take you from initial idea to a pitch, a proposal, a treatment, and production. Working with a group is a great way to develop your story ready for shooting. Along the way there will be digressions to study the history of documentary film and its various modes. Fully interactive and participatory the workshop is varied in its methods. The emphasis always on developing a critical appreciation of the genre and encouraging the full self-expression of the participants. There will be numerous screenings and ample opportunity to enjoy wide-ranging conversation with the group while enjoying the best Italian food and wine. Participants will stay at the glorious Art Nouveau Villa Arianna in the hamlet of Ripoli. 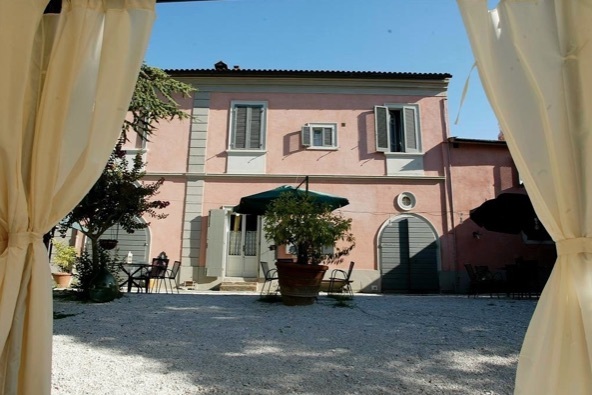 Villa Arianna is located on the wine route of the soft rolling southern hills of Pisa. The Villa is surrounded by a stunning 15,000 square metre park. During the three days we will explore the history, theory and practise of documentary film. Deeply informed by anthropological concerns, at the heart of the workshop will be the question: How does documentary film production engage with processes of social change? The number of participants is limited to just 8 in order to ensure the greatest ease of participation and personal attention from the tutors. Documentary forms and theory. A historical review. Social and anthropological theory and its relevance to documentary film. What is a documentary film? Research. Evolution of ideas. Writing Proposals. Pitching. Techniques of storyboarding and story construction. Aspects of Directing. Exploring ideas of rhythm, pace, authority. Planning a shoot: Safety and legal issues. Permissions. Rights. Location issues. Ethics. Shooting. Choosing a visual style. Camera positions and angles. Shot selection. Interview techniques. Editing principles. Post Production and distribution. Dates: Friday 16th March to Monday 19th March, 2018. Arrival on the 15th and departure on the 19th. Max no. of Participants: 8. Places are few so bookings will be made on a first come first served basis. Price: The workshop price includes the teaching, full board (breakfast, mid-morning coffee and snacks, lunch, dinner) and accommodation. Flights are not included but there are numerous cheap flights to Pisa airport with Ryanair and Easy Jet, as well as British Airways. Transit from the airport to the Villa will be provided.